Alvin Cox is a senior staff engineer at Seagate Technology where for 29 years he has engineered various magnetic storage technologies. He holds 11 patents and currently oversees industry standards representing Seagate in SATA I/O, T10, JEDEC, SFF and USB 3.0. Alvin is also the SATA IO CABCON vice chairman, the T10 SAS PHY working group chairman and the JEDEC 64.8 co-chairman. Over the past year, Solid State Drive (SSD) storage solutions for the enterprise have received a significant amount of attention, and rightfully so. SSDs have the potential to offer compelling performance and reliability benefits, particularly for mission-critical environments. So why haven’t SSDs been widely adopted yet? Standards. Or to be precise, the lack of them. The critical element that must be present before major system OEMs will widely adopt SSDs is a set of standards for real-world performance, reliability and endurance. Numerous companies have emerged eager to participate in the new enterprise market opportunity, but the reality is that, industry-wide, there is still more work to be done in order to establish performance benchmarks and eliminate market confusion. Ultimately, the adoption of standards will help enable both consumer and CIO confidence and drive the market. One market segment that is certainly clamoring for greater performance is the mission-critical enterprise space, specifically those running Tier 0 environments. Tier 0 is where the most transaction-intensive data resides; it’s where performance is the priority and where business needs are immediate (e.g. Nasdaq trading platform). With data that is mostly read-intensive as well as random in nature, SSDs have a clear, compelling IOPS-centric (Input/Output operations Per Second) value proposition. Lacking standards, however, the SSD market has been prey to hype, resulting in initial disappointment and confusion. In many cases, it was disappointment in real-world performance and endurance cycles that was the fruit borne of SSD qualification attempts in the enterprise. This is just one reason why industry standards that describe and measure SSD performance, endurance, and reliability within real-world enterprise environments are needed. The current storage industry is based on tens of thousands of man-hours put into defining today’s standards for interoperability with devices and applications, including the OS, device driver, HBA, switch, storage controller, and disk drive. Because SSDs store information differently than hard disk drives (HDDs), new challenges in device communication exist, so the standards used to communicate between devices need to change accordingly. What may be surprising is that HDD leaders are working in tandem with SSD manufacturers to define and enable truly enterprise-grade solid state solutions. Organizations like JEDEC and the Storage Networking Industry Association (SNIA) are calling on the expertise of HDD manufacturers like Seagate who understand the storage environment and bring years of enterprise product development, reliability, and qualification cycle testing experience to address SSD standards issues. Industry leaders are partnering to address the requirements for fully exploiting SSDs’ potential, such as: advanced system architectures; predictive life modeling that leverages workload classes to substantiate stated product life; SSD-specific advanced reliability and test technologies; and optimization of controllers and flash to make SSD work reliably as media degrades. It is an exciting time for storage, with an expanded market opportunity for both SSDs and HDDs in the enterprise. But before placing an SSD into a mission-critical enterprise environment, the industry must take the necessary time to define and build the SSDs according to standards focused on performance, endurance, and reliability. 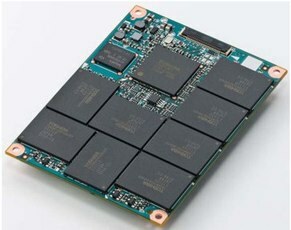 This approach will allow the enterprise SSD market to emerge at the maximum potential growth rate and deliver sustained growth over many years to come.